The Fantasia classic from 1940! 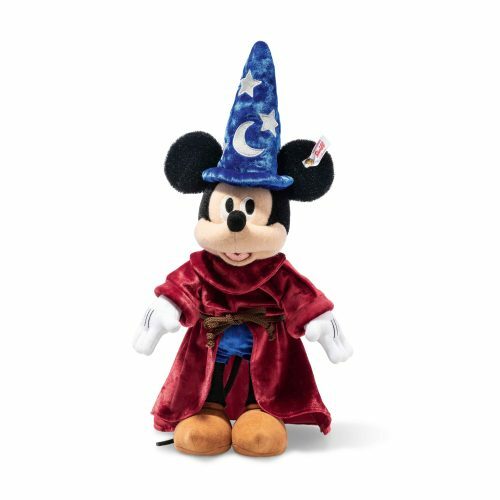 In the third full-length animated film from Walt Disney Studios, which features a complete classical music score, Mickey Mouse is the “sorcerer’s apprentice” who meets the great sorcerer Yen Sid and causes chaos in his workshop. Bustling with energy, he brings the brooms to life, but they soon ignore his commands – will he succeed in getting the rebellious cleaning implements under control again? 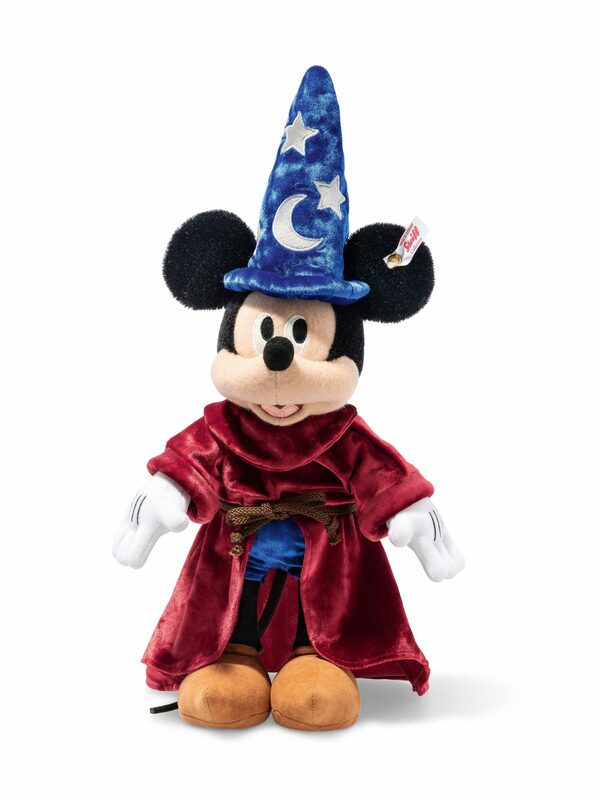 Steiff’s Mickey Mouse Sorcerer’s Apprentice is resplendent in red velvet coat, blue trousers and wizard’s hat. With his typical white gloves, he wants nothing more than to be part of your Steiff Mickey Mouse collection.